There’s nothing I hate more than starting flirty-banter-chat with a man I’m physically attracted, only to be met by conversation-killing one-liners. With the exception of asking what I was looking for and whether or not I wanted to go for coffee, this man didn’t try to get to know me at all. He was willing to answer questions about himself. But despite being beautifully hot, a complete silver fox, I lost interest in the first few messages. The above isn’t the entire conversation but that’s pretty much how it all went. I’d ask questions, he’d answer them, and not ask any questions in return. How is that a conversation? This is a man who apparently wanted to get to know me more and take me for coffee and yet wasn’t forthcoming with any questions. In fact, the only time he learned anything about me at all was when I forced the information on him. Hot or not, I’m bored now. Sorry. In fact, I’m not even sorry. It was the “I was a transport manager” line that got me. There is NO way to respond to that and if I’m honest, at this point, I didn’t want to. If you’re not interested, that’s fine. If you are, ask questions. A conversation is meant to flow. I’m not meant to sit there for ten minutes trying to think of inspiration for something to say. What was I meant to say? Oh cool? What’s a transport manager? How long are you out of work for? Why? Because I was bored of putting all the effort in. I was bored of coming up with the questions. I was bored of forcing my information on him. If you want to get to know me more, get to know me more. Ask me questions too. I want to know more about you and that’s why I ask weird and wonderful questions. You should want that too. Either way, he blocked me. The silver fox was devoid of a personality and a sense of humour apparently. Sigh. He was a beautiful man though. It’s always the hot ones. Eye roll. 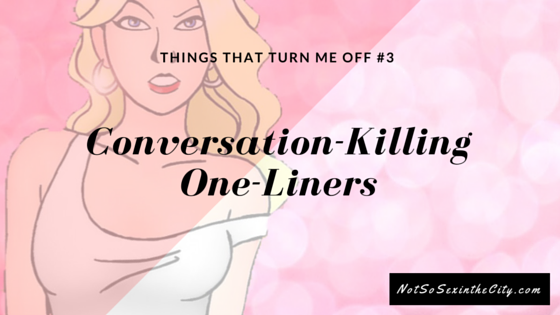 There are so many conversation killers in there, he should really be flattered you expended as much effort as you did. 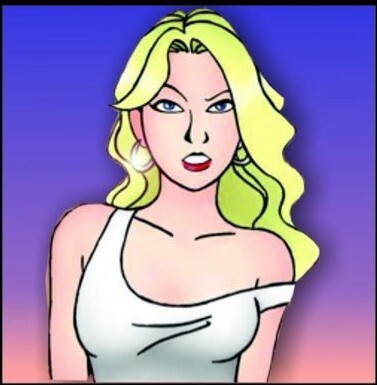 I’m fairly shy in “real life” (not that you’d get that from my online persona) and can dry up in face-to-face situations sometimes, so I could sympathise to an extent if this had been a “real” in person situation, but online conversations at least give me the comfort of being able to flirt, chat, and come up with “banter” in the safety of it being not quite real-time (giving me some thinking space)..